Eye care is just as important as skin care. These eye care programs will keep your eyes beautiful, healthy and looking sharp. Caring for your eyes like you do your skin and your face will ensure you look and feel your best. Banish dark eye rings with radiofrequency to lighten the dark eye circle and fine lines around the eyes. 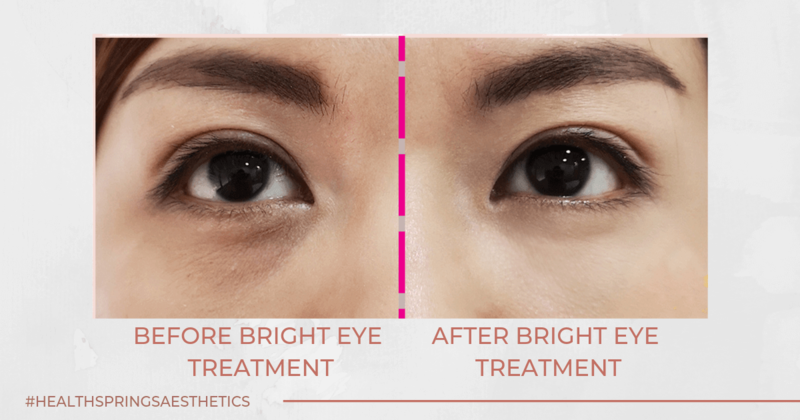 Worried about droopy eyelids and bulging eye bags? Get a quick lift with the FDA Approved radio frequency treatment plus a hydrating gel mask. Try our Healthsprings Bright Eye Trial at $68 today! WhatsApp us at 9728 7793.